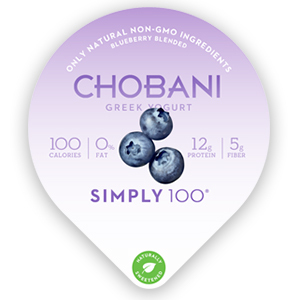 A functional kitchen can make a difference in how you eat, which is why we partnered with Chobani Simply 100®, which is naturally sweetened and made with only natural, non-GMO ingredients for this post. It only takes a few minutes to create a kitchen that runs smoothly while providing delicious results. Think about arranging your fridge so fresh fruits and vegetables are front and center along with easy-to-grab snacks stacked in the fridge door for a healthy, convenient option. And using clear storage containers never leaves you guessing what you're reaching for. Check out these five kitchen hacks that make staying organized in the kitchen easy.